I think regional or Radial Leagues are the best. ACC gets a little spread out but that's the best traditional way to do it. Go back to 12 teams. Rotate 3 other division teams every 2 years. So Auburn would play Florida and Tennessee at home once while each player was there instead of once in 12 years. Currently, Unless it’s your “traditional” rival, the teams in the other division are like playing an OOC game. League is too big for 8 game schedule. Very much needed if you went that direction. The SEC won't be poaching any ACC schools and especially not 3 of them. If we're talking realistic expansion, that will only come after the Big 12 begins to implode again. 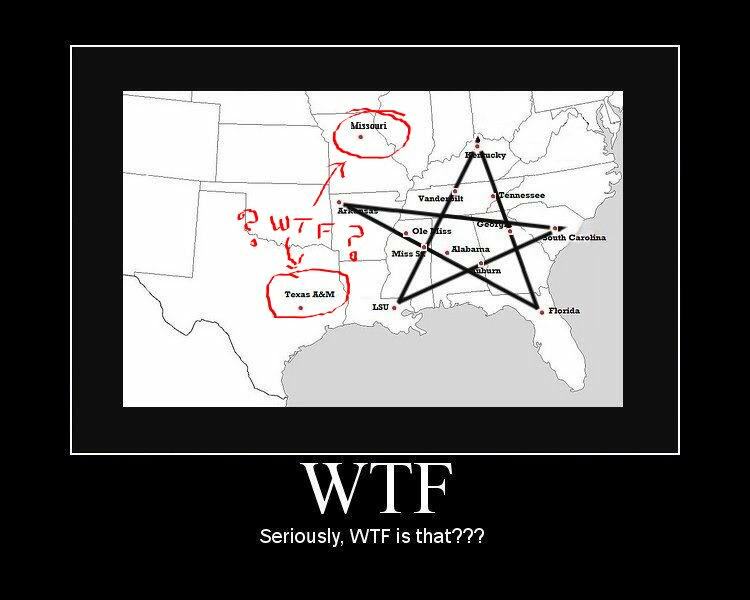 Ideally we add Oklahoma and Oklahoma State to the West, move Missouri to the West, and move Alabama and Auburn to the East. Expand to 9 or 10 game conference schedules with no cross divisional rival games. Alternate the SECC between Atlanta and major city located within the West. We are not going to double up in Oklahoma. Out with LSU, A&M, Arkansas, and Missouri. Add Miami, FSU, Ga Tech, Clemson, Louisville, and maybe one of the up and comer FL schools. 16 teams and every team has their instate rival in the league. No schools in states with land west of the Mississippi or north of the Ohio. Then it would truly be the Southeastern conference. Yes I know it would never happen but that's my "perfect" SEC. What has expansion brought to the SEC besides the ability to have a championship game ? If you take texass, y'all are a special kind of stupid. I'll take it a step further and say get rid of the NCG. There's no reason why a season in which Auburn beats Alabama or Michigan beats OSU should be considered a failure by their fans because they didn't win the championship. Curtail the post season. Make the regular season great again!